EDU Summer Sessions. Transcribing w/ Max Wild, Exclusive Album Stream! EDU Summer Sessions. Transcribing w/ Max Wild, Exclusive Album Stream! The process of transcription is the process of translating a piece of music from audio to written notes. 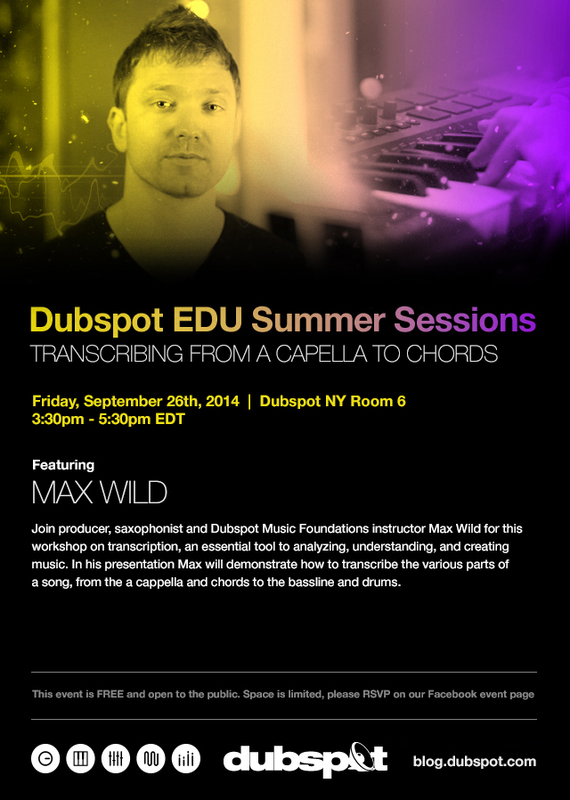 Join Max Wild for this workshop on transcription, an essential tool for analyzing, understanding, and creating music. Max will show you how to transcribe notes from an a cappella, useful for finding the notes and key of a song for remixing purposes. Max’s latest album, Maverick, under the name MOA is a great slice of electro-pop featuring Max’s signature saxophone. Check out an exclusive stream of Maverick, released September 23rd. Also check out remixes from Dubspot instructor Devon James, Vibe Street, and Tokes on the album.